← Updated: Who’s Afraid of the International Criminal Court in Georgia? 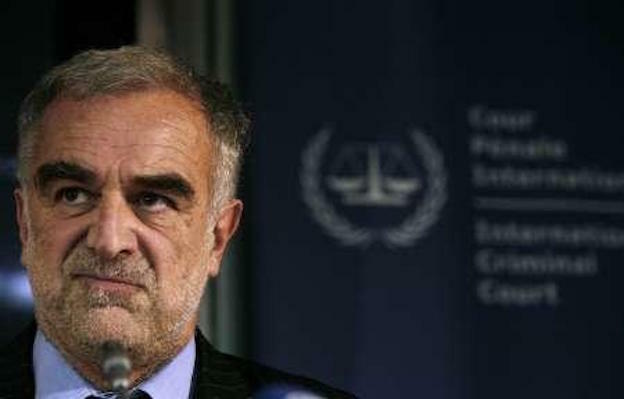 Luis Moreno-Ocampo is still in the game. The former chief prosecutor of the International Criminal Court (ICC) is involved in a human rights NGO in Libya and, more recently, has worked to bring a case forward to the ICC alleging that the Islamic State (ISIS) has perpetrated genocide against the Yazidis in northern Iraq. In light of his recent efforts, Moreno-Ocampo recently gave a lengthy interview to Richelle Carey of Al Jazeera America in which the former prosecutor ripped into America’s record in supporting the Court – and the project of international criminal justice. In fact, yes, Russia veto[ed] a resolution on Syria. Before that, the U.S. was not interested to send the case to the ICC. They did it just at the end to shame Russia, but not at the beginning. The U.S. was proposing, you remember, striking because of chemical weapons. That will be a wrong policy. Because it’s not about just killing people with chemical weapon. You cannot kill people. So, yes, we lost opportunities. These comments are honest and welcome, if a bit surprising coming from Moreno-Ocampo. But the former chief prosecutor is absolutely correct in observing both the inconsistent position of the U.S. and the Obama administration’s unfortunate manipulation of its eventual support for a referral as a means to blame Moscow. Following the May 2014 failure to pass a UN Security Council referral of Syria to the ICC, U.S. Ambassador to the UN Samantha Power delivered a highly questionable speech explaining why Washington had changed its mind on an ICC investigation of war crimes in Syria. Power decried the fact that it was possible for the Court to be active in Africa but not Syria and then blamed Russia and China not only for vetoing the 2014 referral but for Washington’s decision not to previously push for an ICC intervention. In doing so, Power exposed the hypocrisy behind the U.S. position on the ICC in Syria and beyond. As I argued at the time, Power’s comments smacked of a state jumping on the justice bandwagon late in the game only to be the first in line to bully those who hadn’t yet joined. …With time — I hope before everyone is killed in this country, in this world. Yeah, I hope [it] will change. The problem is, [the] U.S. is the biggest country in the world. They don’t like something checking them. That’s it. Then when President [Barack] Obama came, it start[ed] a sea change. Rather than being celebrated, the U.S. relationship with the ICC and international justice needs to be critically assessed. As Moreno-Ocampo’s quote above suggests, the Court and its proponents often view the U.S.’s move away from antagonizing and undermining the ICC as an institutional success story. But Washington has an inherently unsustainable position when it comes to the Court. As a fully engaged but non-member state without any real obligations to the ICC, Washington’s policy is to pick and choose when it supports the ICC and when it doesn’t. It has one-foot-in, one-foot-out. The result entrenches rather than alleviates the perception that the Court and the project of international criminal justice more broadly is inherently selective. If Moreno-Ocampo’s harsh message helps to galvanize a more honest debate about the relationship between the U.S. and the ICC, it will undoubtedly have been worth it. This entry was posted in ICC Prosecutor, International Criminal Court (ICC), International Criminal Justice, Luis Moreno-Ocampo, United States and tagged Luis Moreno-Ocampo, Samantha Power, Yazidis. Bookmark the permalink. The criticism is largely irrelevant until we address the fact that the US commits many crimes with utter impunity. How many wars do they have to start , how many civilians, hospitals and media outlets do they have to bomb before international justice even comments on it, let alone do anything? The moment a sovereign nation allows any body to “check” it, they are in fact giving up some of their sovereignty. I suspect this would cause serious political issues in the United States for any administration which signed onto or attempted to sign onto the ICC. Therefore, from a political position, it’s a bad move. Even for the incumbent on his way out, it would spell political disaster for his (or her) party, and I doubt there would be sufficient support in the Senate for such a move. There may come a day when it is politically acceptable in the United States to sign on to such a body, but I think it would have to prove itself as an unbiased and capable entity first. So far, I don’t think the ICC has managed to do that.